Winter is right around the corner, and that means getting your home or business ready for cold temperatures and plenty of snow. Before winter arrives, you want to make sure your home is ready for whatever type of weather fall and winter bring. One of the most important things you should be doing before winter sets in is cleaning out your gutters. Here are a couple of reasons why gutter cleaning in Chicago is imperative before fall. Gutters are integral to proper water drainage. Homeowners often forget how important gutters really are. They control the flow of rainwater to protect your roof, walls, foundation and landscape. When neglected, gutters can turn from a necessity to a nightmare. Gutters clogged with leaves, sticks and other debris can lead to a leaky roof and water damage to both the exterior and interior of your home. Clogged gutters also make wonderful homes for rodents, mosquitos, bees and mold, and if left uncleaned, the resulting costs can run up to thousands of dollars. Cleared gutters are important to your home’s curb appeal. If there’s one thing that detracts from the overall exterior look of your home, it’s clogged gutters. When gutters aren’t taken care of regularly, you can often see the neglect from the road, reducing the exterior appeal of your home. How often do you need gutter cleaning in Chicago? 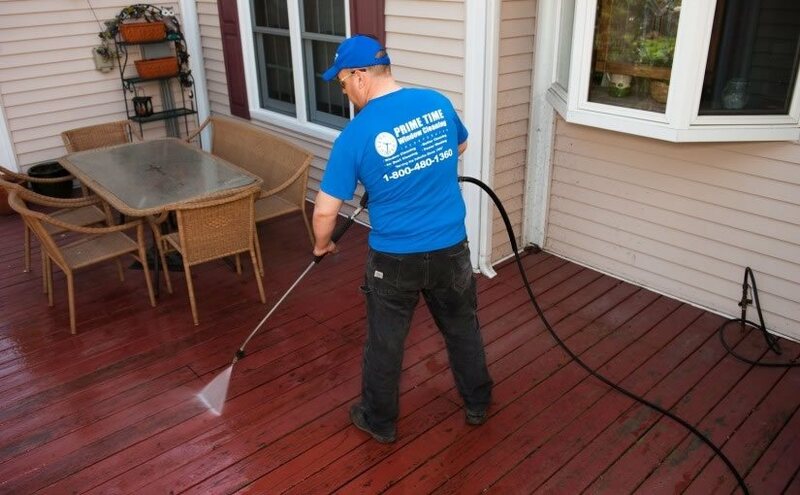 At Prime Time Window Cleaning we recommend gutter cleaning at least twice a year, in the spring and the fall. In the fall you should wait until all the leaves are down, or nearly down, before having your gutters cleaned. We recommend cleaning even if you have gutter covers. Gutter covers do a good job of reducing debris, but they don’t entirely eliminate it. Up to 15 to 20 percent of debris can still collect in your gutters even if you have covers. You could do the job yourself but it can be dangerous, especially if you have a multi-story home. Whether your home is one story or multi-story, you’ll have to use a ladder. In 2009, the last year for available statistics, falls from ladders sent more than 240,000 Americans to emergency rooms. Why run the risk? 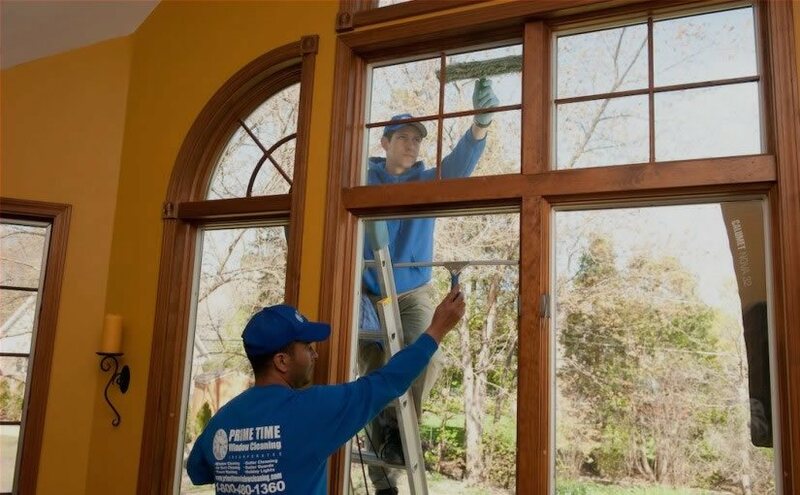 For premier gutter cleaning in Chicago, call Prime Time Window Cleaning at 800-480-1360 and book your appointment today.